A great set of labels deserves a handy way to store and use them. Get stock labels on a handy roll for better handling, storage and organization. Quickly label large inventories in a snap with these consecutively numbered sets! Convenient label rolls are great for on-the-go labeling, saving you time and avoiding the need for label sheets and books. Add barcodes to our signature custom designs - create your design, and we'll put a consecutively numbered set on a roll, just for you. • Just peel of the label from the liner and apply to almost any surface. • These labels adhere to any clean surface. • Each set is sequentially numbered. Every label features a unique number and matching barcode. • Bold barcodes scan quickly, saving you time. These labels are great for bins, racks and inventory items. 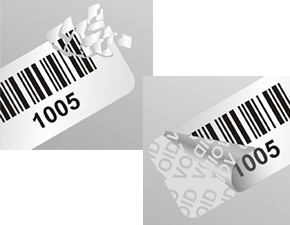 Order in rolls of 1,000 labels, each with a consecutively numbered barcode. Order a number sequence starting at 001, 1001, 2001, 3001, etc. All colors and numbers sequences are in stock. Available in red, black, green or blue. 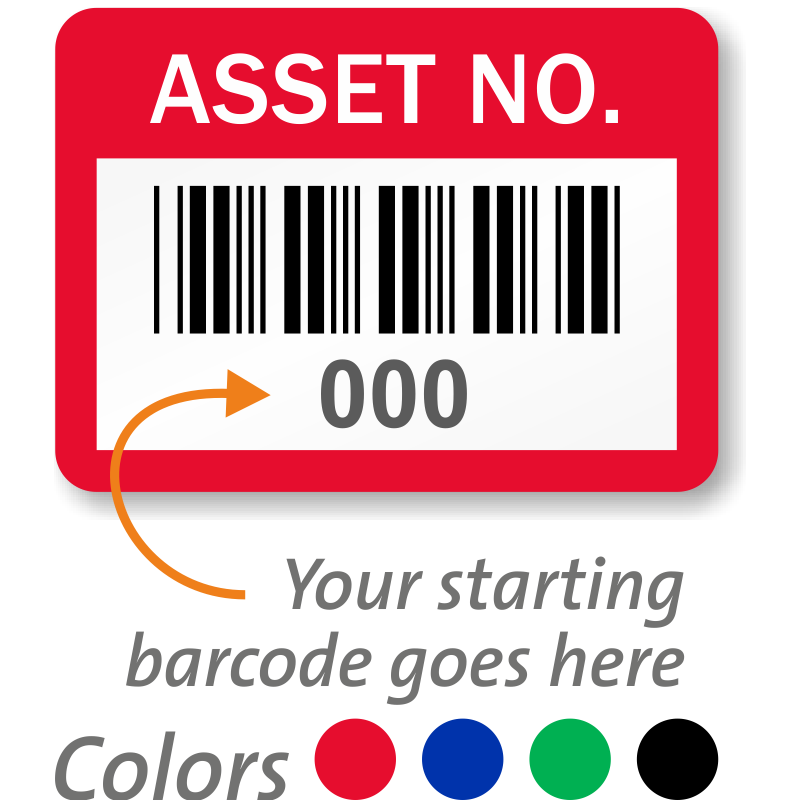 Asset Number Barcode Labels, 0.75in. x 1in. 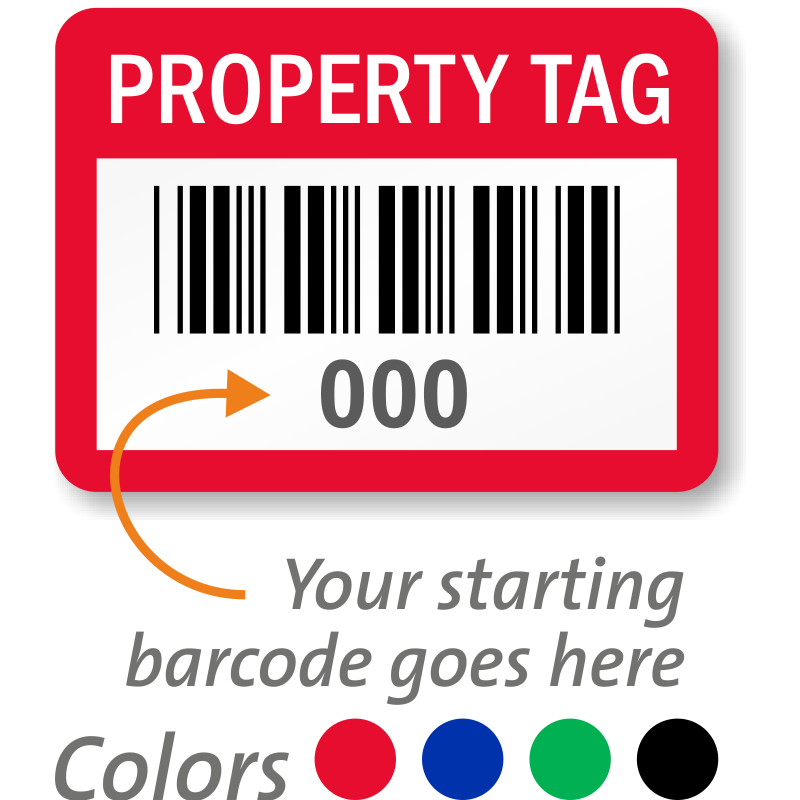 Property Tag Barcode Numbered Labels, 0.75in. x 1in.